Honey & Jam ecologically harvested and processed. Buy Organic Honey "Mil Flores" - Ecoato - Glass jar 14 oz 400 gr. This "Mil Flores" Honey Ecological merges all the flavor and beneficial properties of honey, beekeeping and sustainable agriculture. Organic honey gourmet quality and taste. Buy Organic Peach Jam - "Oro Molido" - in glass jar 9oz 280gr. The organic jams Ecoato distinguished by its sweetness with flavors, natural and delicious. Made organically with the most love and care. 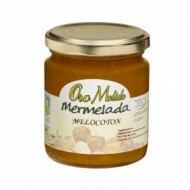 Buy Organic Sweet Orange Marmalade - Oro Molido - in glass jar 9oz 280gr. 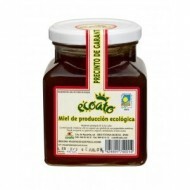 The organic jams Ecoato distinguished by its sweetness with flavors, natural and delicious. Made organically with the most love and care. 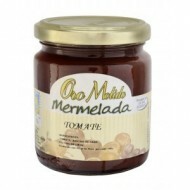 Buy Organic Tomato Jam - Oro Molido - in glass jar 9oz 280gr. The ecological jams Ecoato distinguished by its sweetness with flavors, natural and delicious. Made organically with the most love and care. 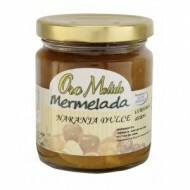 Buy Organic Apple Jam - Oro Molido - in glass jar 280gr. The ecological jams Ecoato distinguished by its sweetness with flavors, natural and delicious. Made organically with the most love and care. Buy Organic Eucalyptus Honey - Bona Mel - in Glass Jar 35oz. 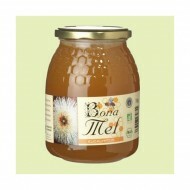 The ecological jams Bona Mel distinguished by its sweetness with flavors, high quality, natural and delicious. Made organically with the most love and care. 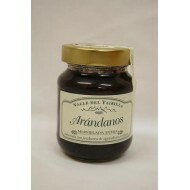 Buy Cranberry Marmalade 11oz- Taibilla Valley. Jam made with cranberries, sugar cane ecological origin, carob seed flour and citric acid. Made in the Cortijo Covaroca located in the Cultural Park Nérpio, Albacete ..